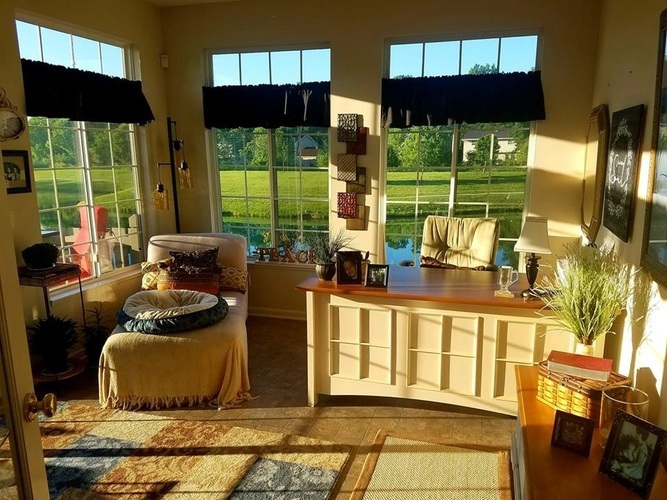 Beautiful condo with peaceful pond view. Relax on a cold day warmed by the gas fireplace in the living room which offers a nice open segue into the dining/kitchen area. Custom cabinetry, large pantry, two-level counter, and a coffee bar create an attractive kitchen presentation. Split bedroom floor plan. The den has two walls of windows overlooking the pond. Lovely neutral flooring and paint throughout. Bonus storage in the floored attic. The Newcomb Group maintains the property including roof, snow removal, landscaping, pond maintenance, pool, and clubhouse. Rent the clubhouse for larger events for your family/friends. This quiet location at the back of the subdivision is a serene oasis.